Bestselling author Leonard Shlain explores the life, art, and mind of Leonardo da Vinci, seeking to explain his singularity by looking at his achievements in art, science, psychology, and military strategy (yes), and then employing state of the art left-right brain scientific research to explain his universal genius. Shlain shows that no other person in human history has excelled in so many different areas as Da Vinci and he peels back the layers to explore the how and the why. "You have changed my life" is a common refrain in the emails Walter Lewin receives daily from fans who have been enthralled by his world-famous video lectures about the wonders of physics. "I walk with a new spring in my step and I look at life through physics-colored eyes," wrote one such fan. 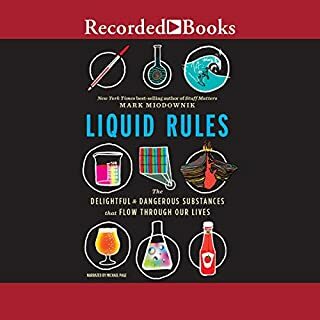 When Lewin's lectures were made available online, he became an instant YouTube celebrity, and the New York Times declared, "Walter Lewin delivers his lectures with the panache of Julia Child bringing French cooking to amateurs and the zany theatricality of YouTube's greatest hits." For more than 30 years as a beloved professor at the Massachusetts Institute of Technology, Lewin honed his singular craft of making physics not only accessible but truly fun, whether putting his head in the path of a wrecking ball, supercharging himself with 300,000 volts of electricity, or demonstrating why the sky is blue and why clouds are white. Now, as Carl Sagan did for astronomy and Brian Green did for cosmology, Lewin takes listeners on a marvelous journey in For the Love of Physics, opening our eyes as never before to the amazing beauty and power with which physics can reveal the hidden workings of the world all around us. "I introduce people to their own world," writes Lewin, "the world they live in and are familiar with but don't approach like a physicist - yet." Could it be true that we are shorter standing up than lying down? Why can we snorkel no deeper than about one foot below the surface? Why are the colors of a rainbow always in the same order, and would it be possible to put our hand out and touch one? 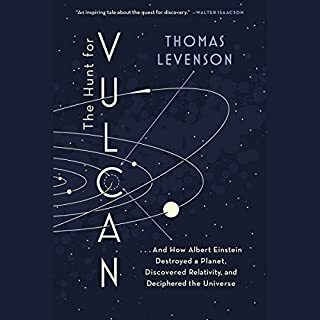 Whether introducing why the air smells so fresh after a lightning storm, why we briefly lose (and gain) weight when we ride in an elevator, or what the Big Bang would have sounded like had anyone existed to hear it, Lewin never ceases to surprise and delight with the extraordinary ability of physics to answer even the most elusive questions. I never thought I would use the word “love” and “physics” in the same paragraph! Yet Walter Lewin and Warren Goldstein introduced me to the science that I had previously thought unapproachable. Clearly Professor Lewin is an outstanding teacher. If our schools were filled with teachers like Mr. Lewin, it would surely change the world. The story is about Physics and all that it encompasses, which is everything really. And that part had me fascinated. It is also about teaching Physics and this part was just wonderful. I found myself in my garage with a tennis ball and string, attempting to duplicate the pendulum demonstration (Yes, Physics works), and in my front garden, spraying my garden hose toward the Sun to create a rainbow (Yes, red is always on the outside). Not many books motivate me to such action. Kent Cassella does an admirable job in communicating difficult names and locations whilst still being able to convey the humour and irony in particular stories. Overall it was a compelling read. A book of Science. Of Teaching. And a remarkable personal story of a European immigrant to America who has certainly helped us better understand the world. Applying what I learned in this book, I would measure the uncertainty of this review to be within ± .5 stars. Why didn't I get taught this in high school.....hell!... elementary school. I would have loved it if it was taught like this. I loved this listen. Professor Lewin made physics the living fascinating thing it is. The vivid examples and explanations gave me a new appreciation for rainbows and cans of paint. If you loved Physics in school I recommend this book as an interesting listen. If you hated Physics. I highly recommend this book as an eye opening explanation of so much of the world that surrounds us. For the Love of Physics was a great read. If you have watched any of Walter Lewin's lectures online, you know that he is a great teacher. In this book, he gives a good overview of physics. Towards the end of book, he goes into x-ray astronomy and talks about his research. Overall, this is a great book, I highly recommend it. What made the experience of listening to For the Love of Physics the most enjoyable? I admit that I know almost nothing about physics, and I downloaded this book on a crazy whim, but then I loved it! The narrator interpreted the authors' words in a friendly and conversational way. And the authors gave me a brand new view of the world, just as promised. What was one of the most memorable moments of For the Love of Physics? The discussion of black holes (which apparently everyone loves) was completely enlightening. Which character – as performed by Kent Cassella – was your favorite? I was astonished that I liked it so much. As a language major, I usually stay away from anything science-related, but I am really glad that I took a chance on this book. Good book, some comments about going to fast but I liked the pace and the depth of the information. Walter Levin is clearly an excellent teacher who loves physics. Every science teacher in America should read this book and think about what Levin does to be so effective. I love physics and respect and value great science teachers like Levin but I found this book a little boring. 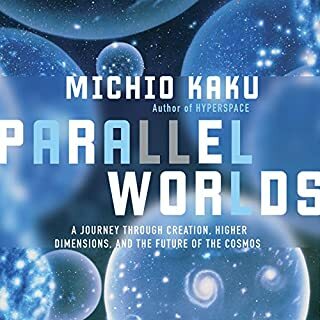 The stories and recollections are nice and demonstrate what Levin does that is so extraordinary but this book is not as compelling as those of Feynman or Green. I really hate giving this book less than 5 stars. This is book has interesting stories and I love physics, but .... the reader is rushing through the material, not even pausing between chapters. It's all strung together in one long torrent of words. Pretty tough to follow. And even tougher to understand the physics. Sometimes you need time to absorb some of the more difficult facts, but the reader never lets up. Too bad. The book cover of “For the Love of Physics” summarizes its endearing intent. Walter Lewin bridges the chasm between the lay public and Physics by simplifying and vivifying fundamental laws of a confusing science. With erudition and demonstration Lewin reflects joy in physics. Lewin is a teacher and astrophysicist at the Massachusetts Institute of Technology. Lewin considers Newton, Maxwell, and Einstein to be the greatest scientists in history because of their prescient ability to produce theories that unify laws of nature. Though quantum mechanics was never accepted by Einstein and not discovered until Newton and James Clerk Maxwell were gone, these three scientists viewed the world with blunt measurement tools and, through force of imagination, succeeded in creating theories that have been confirmed by future physicists within the probability environment of quantum mechanics. Science continues to advance with refinement of particle physics cyclotrons like the Large Hadron Collider that are exploding protons into constituent elements, and refined tools that measure smaller and smaller elemental particles that define bigger and bigger natural laws. Lewin and Goldstein’s book excites the imagination and encourages the future of science. All of my great teachers were able to show me the importance of the seemingly insignificant in some dramatic style. Walter Lewin is a master of dramatic presentation. After listening to "for the love of physics", twice, I found myself watching hours and hours of his lectures and demonstrations on the web. the thoughts and writing are engaging and lively and I will never look at rainbows the same way. Because of this book I now know how to look for rainbows as well. Mr. Cassella's narration is very good, warm and well paced. Great - Does exactly what it says on the tin. To be honest I'm not really good with Physics but I was always interested in learning something new or gaining an understanding of how things work. If you listen to this audio book, it will do exactly do that. It explains "things" in a way even I can understand them. It;s funny and entertaining and I do love the experiments that you can try at home ! Who should listen to this book ? Well just about everybody - for instance I asked my other half, who studied astro physics to listen to some of it, and he enjoyed it just as much as me. You can have your children listen to it, since there is so much to discover and maybe even have a parent child competition to try out one of the experiments. some of the experiments demonstrated. Go listen and learn - that's my advice ! It's one of thse rare occasions were an audio book lets you down, owing to the scientific nature of this book there are many refrences to numbers. When reading a text one just " takes in" a number but when they are constantly read to you it becomes a little tiresome. Overall quite good but not a Feynmen. 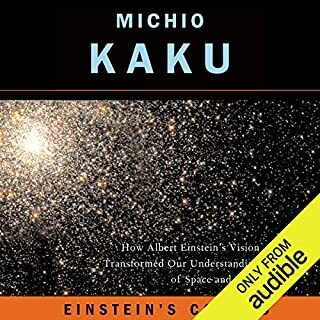 I would recommend thisaudiobook title to anybody interested in physics and has a passion towards learning. 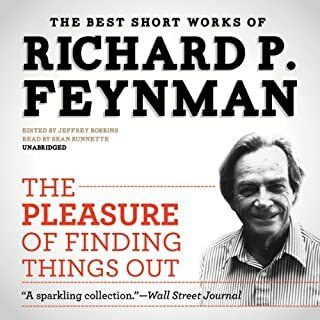 What other book might you compare For the Love of Physics to, and why? This is my first download so I cannot comment yet. What about Kent Cassella’s performance did you like? He handled the whole audiobook very well and managed to show appreciation to what he was reading. 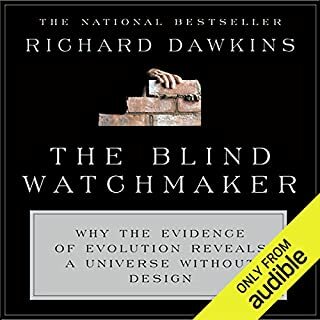 Enjoyed this audiobook. 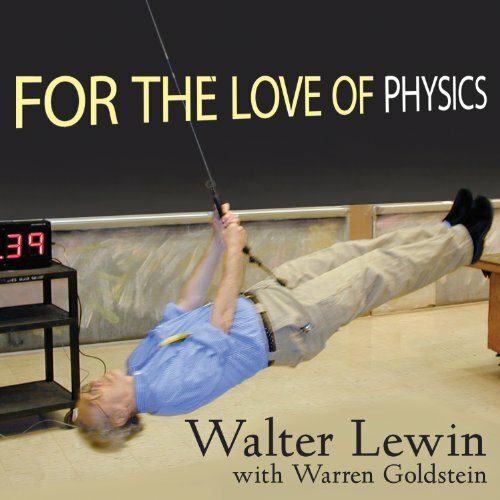 I hope to be informed in the future if there will be any more physics audiobooks, especially if it has to do with Walter Lewin.